The economy is booming, with more positions open than there are workers to fill them. This isn't a new predicament for the trucking sector, which has long been short of the hired help needed to get freight - in all its forms - to its intended destinations. To more effectively fill the gap, firms are training those who lack the necessarily qualifications. But due to logistical complications, the economy is losing out on hundreds of millions in reduced productivity, a new study asserts. According to the Commercial Vehicle Training Association, delays for commercial driving skills tests have led to approximately $1.5 billion in annual economic losses for the U.S. economy. Additionally, the time lost in terms of postponed work amounts to an estimated 6.4 million business days. These are the main takeaway findings from the CVTA's study "Economic Impact of Wait Times for Commercial Driver's Licenses Skills Tests." 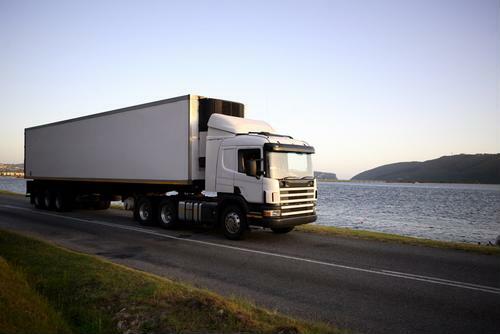 Much like regular driver's licenses, states tend to vary slightly in terms of what commercial truckers are required to demonstrate in terms of their proficiency with handling a big rig. But these differences aren't the main reasons for roles not being filled. The chief contributors to the problem are a combination of insufficient testing personnel, a lack of testing centers and poor scheduling, the study found. Don Lefeve, CVTA president, stressed that these problems are nationwide. "This report confirms skills testing delays are a national problem costing the U.S. economy $1.5 billion annually and unnecessarily preventing hundreds of thousands of Americans from entering the workforce," Lefeve explained. "With drivers in high demand, Congress has the opportunity to address this issue through a common-sense solution that requires third party testing, ultimately eliminating skills testing delays." Lefeve further stated that trucking is an indispensable asset to the U.S. economy, so limited testing options is an issue that demands a solution. The government is going to various lengths so the trucking industry can maximize what systems and drivers it has available. The American Trucking Associations, in league with other trade organizations, called on the Department of Transportation to systematize rest break rules so they're more harmonious and less complex, as the rules tend to vary from one state to the next. Newly installed regulations were set to go into effect in California but have since been sidelined by the DOT and the Federal Motor Carrier Safety Administration until further notice. "This is a victory for highway safety, not trial lawyers," Chris Speak, ATA president and CEO, stated regarding the ruling this past December. "The trucking industry supports our nation's economic growth by safely and efficiently moving goods across state lines, and this decision by the Department of Transportation will save jobs, unburden businesses throughout the supply chain and keep the prices Americans pay for food, clothing and countless other essential items affordable and accessible." This decision will afford motor carriers more leverage so they don't have to deal with excessive amounts of red tape, but they're still short of the help they need to get freight distributed to the proper places promptly. The CVTA hopes that members of Congress will recognize the extent to which the driver shortage presents a clear and present danger to the economy's vitality and will prioritize the development of more state testing centers so exams can be carried out in a more timely fashion. In doing so, officials believe the industry will be in a better position to save jobs and reduce the likelihood of autonomous driving filling the experienced driver void. Approximately 3.5 million Americans drive trucks for a living, according to the ATA's most recent figures. An additional 4.2 million work in jobs related to trucking activity.